What better place for this set of divine wide-leg pants to feature in but in Cosmopolitan, oh and er, my blog! The longer the better. You should literally be tripping up with each stride. If you’re not, take that hem right down to Chinatown. A high waist is a must with the wide leg as it offers length as well as width. It adds proportion. Pockets can be a lovely addition. Keep those little paws warm as we now enter November. Hey there’s nothing wrong with a white pair of pants, right? Apart from the obvious underwear issue. Keep the white a brilliant white by preventing the ends trailing on the floor. Feeling a little draughty? Bundle up like this lady did and count on those scarves, ponchos, camel coat and what have ya. A spot of Stella McCartney creativity never hurt anyone either. Hugh waist; check. Pockets; check. 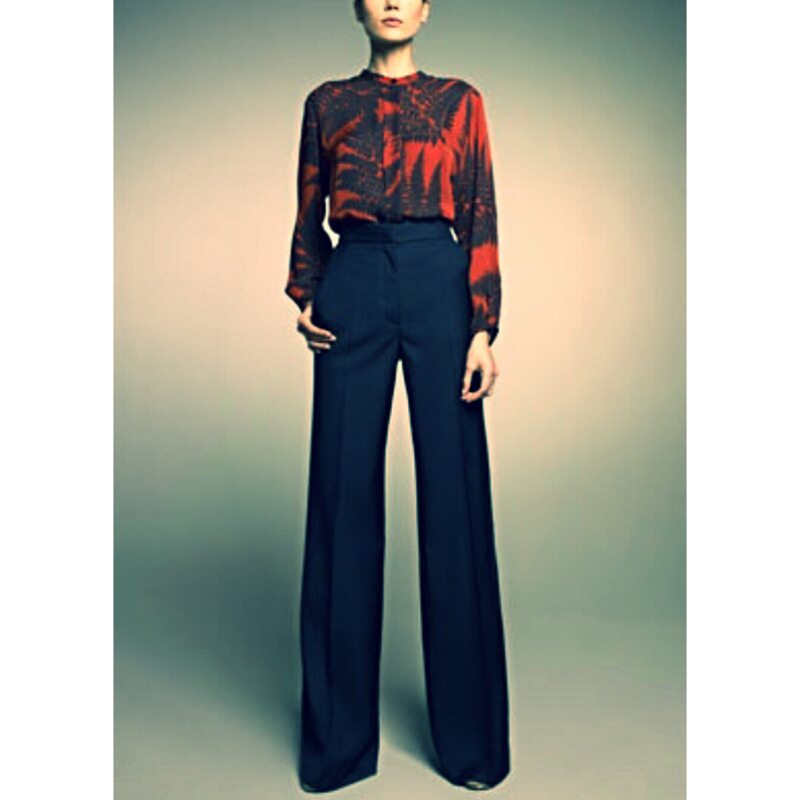 Groovy blood red blouse tucked into wide leg pants; check. 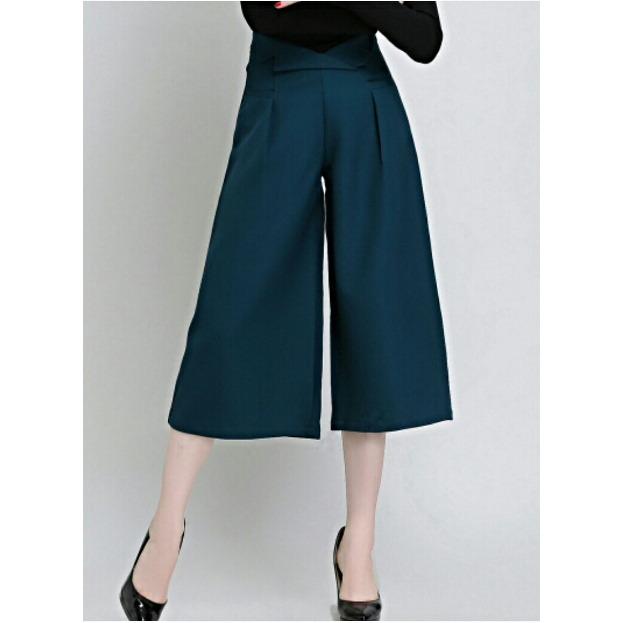 If you’re looking for something cheap and cheerful and don’t want to delve in to the Haute Couture fund, then why not do a spot of online shopping and choose these ‘Sheln’ pants for a mere thirty four bucks on abaday.com. just don’t forget to bundle. Try a nice cosy turtle neck tucked in neatly. But please go cashmere. Photo credit (second from top): Elliston Lutz. Thank you sir. My favorite is the sleeker wide leg pant. With my height, I don’t think I’d be able to do the baggy look. Great round-up of different options! Have you found something in the wide leg pants yet @sheblog ? Just curious!